BEST driveshafts PART DEALS MINIMUM EFFORT! Driveshafts in our vehicles play a crucial role because they help deliver the engine's power to the wheels efficiently. 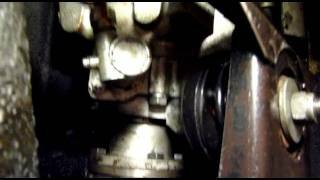 Without a functioning driveshaft you will not be able to drive your vehicle. Here we explain more. Vehicle driveshafts play an important part in delivering power from the engine to each of your vehicle's wheels. The process is straightforward and it transfers the engine's rotational power, or torque, under the vehicle to one of the axles using the transmission. Driveshafts tend to be made of aluminium or steel and it's an important component in the drivetrain mechanism - which in itself is a complex part. However, because of the work it does, the driveshaft has to deal with intense movement and pressure and has been carefully designed to deal with the strength of the power being delivered, essentially, bearing the torque load and also the inertia which is when too much weight is caused. Since the driveshaft is located underneath the car, it is exposed to the debris and salt thrown up from the road's surface so it can deteriorate and suffer with corrosion. 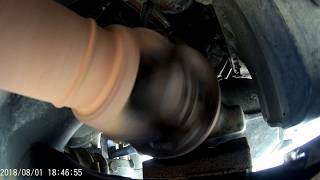 There are other issues including hitting the kerb or being involved in a small collision which can damage the driveshaft. 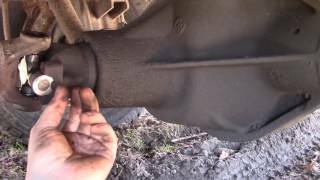 Also, a malfunctioning CV joint, that's the constant velocity axle joint, can also damage the driveshaft. It's really important to maintain CV joints as well as the CV boot to help protect the driveshaft where the power is transferred. If you're worried that there may be a problem with your driveshaft then you may hear a rattling or knocking noise, squeaking or juddering or there may be intense vibrations being felt through the steering wheel or on the floor. 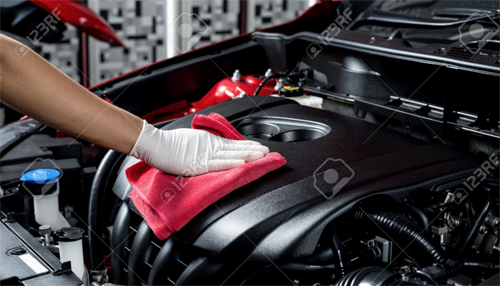 Most of these noises will occur when you turn the wheels or when parking; whatever the symptoms are, it's important that you get the issue diagnosed properly and then repaired before more expensive damage is caused to your vehicle. While driveshafts are designed for long-term use, you should bear in mind that the average lifespan will be around 75,000 miles, so you should be aware that there may be wear and tear issues that may need resolving. 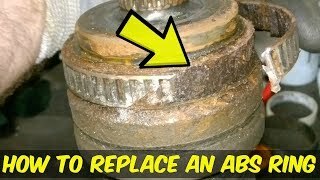 Also, while the driveshaft is fairly straightforward to repair, you may rack up much more in costs because of the labour involved which makes this an expensive component to replace. Also, you will need to buy a driveshaft that meets your vehicle manufacturer's criteria. There's the opportunity of buying OEM components, which is the original driveshaft fitted by the vehicle manufacturer, and there is also a strong aftermarket in other manufacturers' driveshafts that you could use. It may also be possible to source a driveshaft from scrapyards or a salvage firm which will be much cheaper and may deliver a long lifespan to meet your needs. If you are searching for driveshafts for your vehicle, then it's important that you source quality components from a reputable supplier and that the driveshaft meets your vehicle manufacturer's criteria and the MorePartz site can help. One of the most convenient ways to obtain replacement driveshafts parts for your is to use your local or highstreet car part supplier. The advantage of using a shop is you get face to face support in purchasing the driveshafts part you need. One of the most beneficial aspect of purchasing from a local store is often highstreet shops will take your driveshafts part back if for some reason it doesnt fit, and if in stock instantly replacing with the correct part this can often be easier and quicker than repacking and posting, and then needing to wait for the replacement driveshafts part to be sent out. Salvage and breakers yards are are an excellent source of replacement parts, not only for driveshafts spares but for a whole number of different parts. Breakers yards and salvage yards purchase damaged cars and then they dismantle them and sell the parts on to the general public. If you want to make even more savings then purchasing your required part from a local could be the answer, shops, private sellers stores and all sorts of users post driveshafts parts for sale using classified websites such as preloved, gumtree or even craigslist. You will have to be a bit more savvy to purchase via this channel, there are no assurances that the part you purchase is fit for purpose and often if you purchase driveshafts parts from the public you are not protected - mostly driveshafts spares and parts are sold as seen, so you really need to test your driveshafts or know about the part your purchasing in some detail. For the convenience of shopping for spares and accessories without leaving your home then the online store usually has everything you need to get your part driveshafts part replaced. Its easy to find a large number of online stores to purchase your driveshafts replacement parts and accessories, usually the offer fast delivery to your home and refunds or replacements if the driveshafts part turns out to not be suitable as long as you have the original packaging. Some even offer next day delivery offering one of the most convenient ways to purchase driveshafts car parts. Some websites offer the ability to enter your car details and the driveshafts part required so they can source what you need by contacting a large network of suppliers to give you quotes on the driveshafts part your looking for. 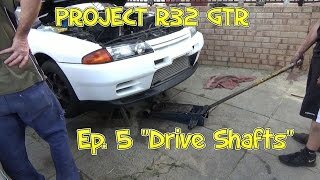 Project R32 GTR Episode 5 - "Drive Shafts"